the ban on the DOMESTIC rhino horn trade. has been in place since 2009. A couple of questions spring immediately to mind. 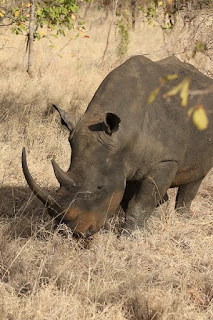 Who is going to buy the rhino horn locally and for what purpose? provisions of the Convention on International Trade in Endangered Species (CITES)? for them to hide some ground up horn and disappear it. will be gleefully rubbing their hands together already.